Certain types of eyelid cancer have risen steadily over the past 15 years in England, researchers say. A study published in the British Journal of Ophthalmology showed an annual increase in cases of 2% and a doubling in risk every decade for people over 60. Researchers led by Moorfields Eye Hospital NHS Foundation Trust looked at data submitted to UK National Cancer Registration and Analysis Services, which record new cases of cancer in the four UK countries. 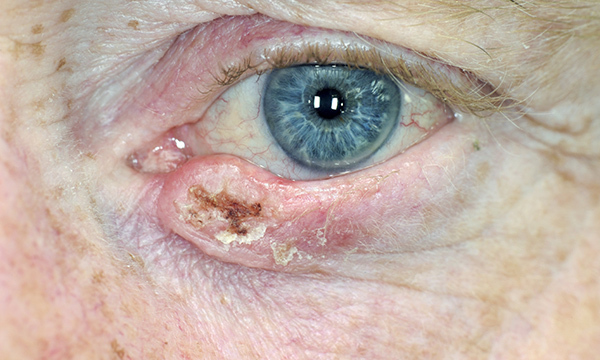 They studied over 4,000 new cases of squamous cell cancer (SCC) of the eyelid in England between 2000 and 2014. The figures showed that while people living in areas of deprivation were no more likely to be diagnosed than those in the most affluent areas, men were almost twice as likely as women to be diagnosed with SCC.